Note: this app is NOT free. 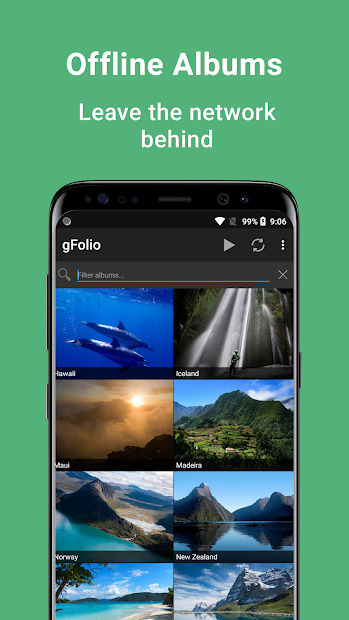 gFolio is an offline photo gallery, auto uploader, and slideshow app for Google Drive. 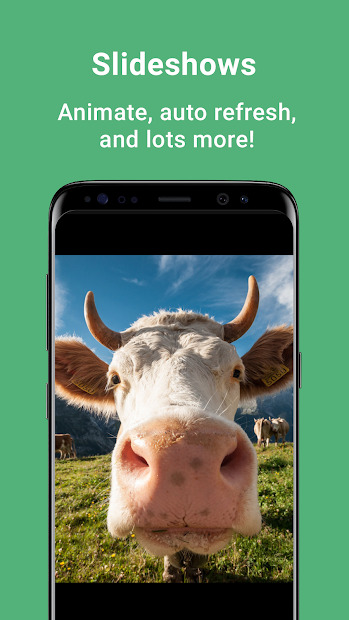 With its offline viewing, show photos even when you do not have an internet connection. Syncs your online albums so you never need to wait on a network again. Syncing occurs when you charge and are on Wi-Fi. Once synced, viewing pictures is very fast as they are downloaded to local storage. Only display sizes are stored, so offline albums remain as small and fast as possible. 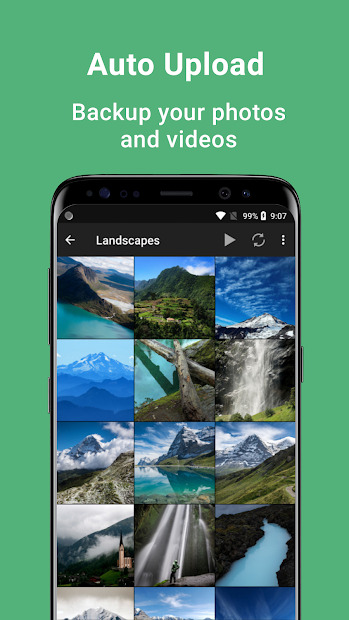 Select from a dozen slideshow animations and transitions to display beautiful slideshows and quickly Chromecast gdrive photos to a TV. You can also easy share your Google Drive photos with Gmail, Facebook, Twitter, Instagram, Google Photos app, etc. Use multiple accounts? Log in to multiple accounts and easily switch between them. 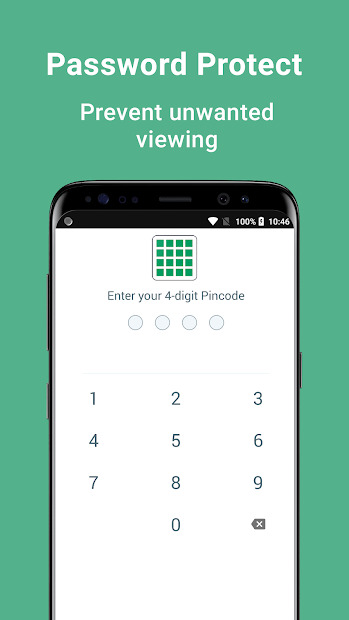 And do not worry about your intimacy, you can protect your privacy and secure the app with a PIN code.